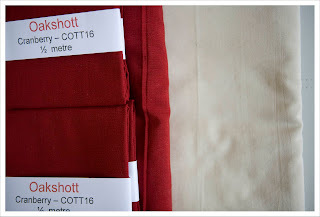 I have written previously about my love of 'Oakshott' shott cottons and I couldn't resist to indulge the Brit Bee members and myself with some of this gloriously luxurious fabric for my turn as the Queen Bee for the month of July. This here is 'Cranberry' and 'White Sand' from their Colourshott range. So Brit Bee member and non Brit Bee followers what do you think I am going to ask the Brit Bee Ladies to make for me ??? The one who guesses the closest or even spot on will receive one of my pincushions as prize. So don't forget to leave an e-mail address in your comment. 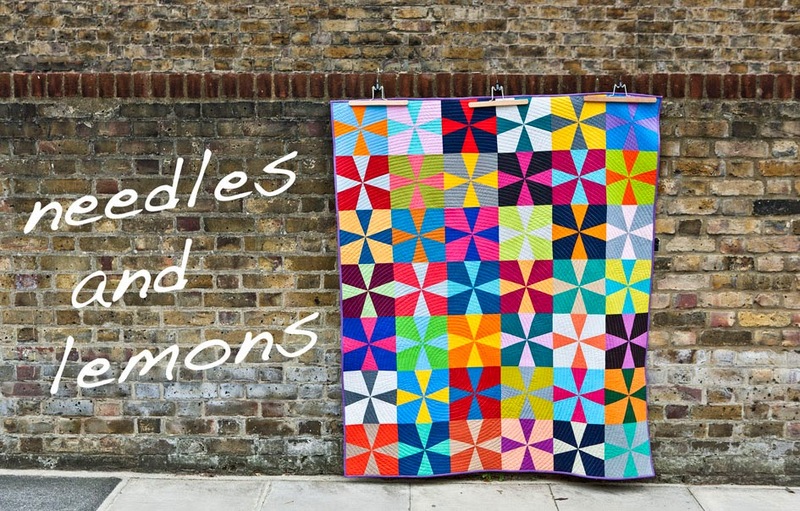 Eight point stars for a Christmas quilt? 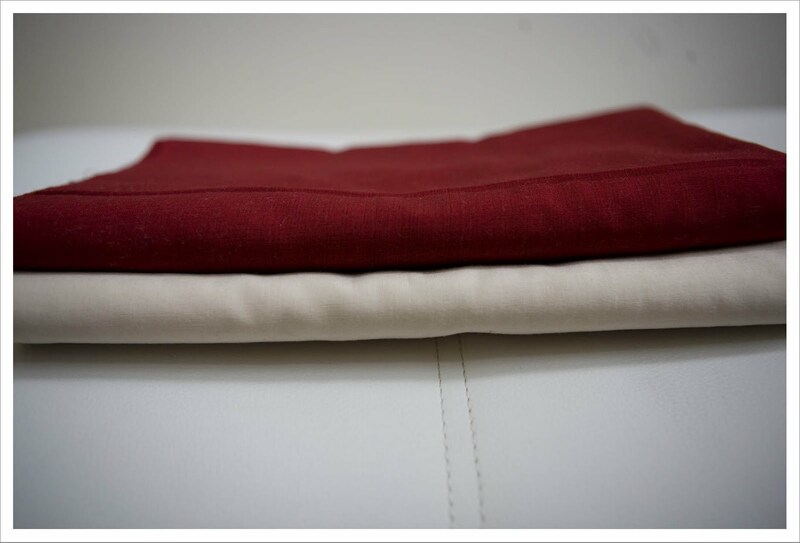 Can't wait to receive some ofvthatvfabric and your instructions. Oh cricky, a million teeny HSTs! If I am right, I would like to swap my prize for the change to bop you one! Whatever it is, I am happy - nothing will phase me today!! Ooooh, you're treating us! Cant wait to get my hands on it! I think you've maybe designed your own Red & White quilt (a la exhibition recently) and dont ask me why but I'm thinking it will be tiny pieces involved but maybe not necessarily in a set block?? Is it redwork????? I would be so excited if it is! I think we might all have to choose a bit of stitching to do in the middle of a red and White block. Or maybe you're not going to give us a pattern at all, just the fabric and tell us to make the blocks of our choice? Am very excited whatever it is! A liberated St George Cross???? Flag patterns seem to be popular at the moment! Oooo, they look gorgeous, can't wait to get my hands on them! My guess is ....um...postage stamp? Those colours would make a cool chequered flag! I have just read this again I don't have a clue what half of you are talking about - it's no-longer my birthday so I can be totally phased now! !